To mobilize the Christian community to assemble as many people as possible to hear the message that Jesus Christ is "the way, the truth, and the life"; to give opportunity for personal commitment; and to relate inquirers to a local church for follow-up and Christian nurture. Each crusade us established as an individual non-profit corporation, and a local Executive Committee of representative laypersons and ministers serves as the controlling body for the crusade. This committee establishes policy. controls the budget and expenditure of funds, and is responsible for the ministry and outreach of the crusade. Since involvement and mobilization of local churches is critical to the success of the crusade, a participating church is defined as one which organizes a Church Cabinet, usually composed of seven persons: the Minister, a Congregational Coordinator, an Attendance/Operation Andrew Mobilizer, a Children's Mobilizer, a Christian Life and Witness Class, Usher Mobilizer, Prayer and Choir Mobilizer, and a Student Mobilizer. With the help of these people, the church can be mobilized through planning, information sharing, distribution of crusade materials, and recruitment of volunteers for different areas of involvement. These people are helped in their task through the assistance of local Working Committees, and a Crusade Director assigned by the Billy Graham Evangelistic Association. The work of the Church Cabinet extends over only a few months time. God uses many methods of evangelism, and the crusade is one. A Franklin Graham Crusade, like a Billy Graham Crusade, can be compared to an iceberg - the crusade services are part of the most visible part. The unseen portions of the crusade - the preparation on the part of Christians and the preservation of the results in the local church - make Franklin Graham's proclamation of the Gospel all worthwhile. 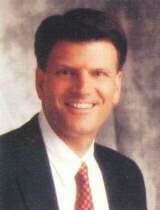 A Franklin Graham Crusade is built upon the principles and experience of Billy Graham Crusades. From the earliest days of preparation to post crusade follow-up, it follows the God blessed pattern developed over the years by Billy Graham and his team. A Franklin Graham Crusade is not just in the community a few day, and then gone. It's a Spirit-led event that begins months before, through the efforts of people like yourself, and that continues to effect shape lives for days, months and many years afterwards - and for eternity. Evangelism Training: Many committed Christians have never shared their faith because the do not know how, or they are afraid. Our Christian Life and Witness Classes teach Christians how to effectively and confidently present the Gospel. The classes also prepare you to counsel people at the crusade. An Action Plan for Witnessing: A further step is taken when Christians put their learning into practice through Operation Andrew. You begin praying for and developing relationships with family and friend who need Christ, finally inviting them to hear the message of salvation at the crusade. Spiritual Renewal: Nothing is more exciting that personal spiritual renewal in the church. By helping prepare for the crusade, bringing friends and family to the meetings, and worshipping with other Christians, renewal is sparked in individual lives and in congregations. Christian Unity: The church is never stronger than when it is united with one common goal. The common cause of the crusade, to proclaim the gospel of Jesus Christ, brings Christians together from many different denominations. Lasting relationships and bonds are formed which unite churches in the community. New Christians in the Local Churches: The crusade process is designed to channel new believers into churches where their spiritual growth is encouraged. New Christians sharpen the church and add vitality to congregational life and worship. Awareness of Church/Community Needs: As the crusade helps Christians gain a new spirit of evangelism, they also gain through spiritual renewal a new sensitivity to the needs of the poor, the hungry and the homeless. Christians spurred into action to meet their neighbours' physical and emotional needs often continue that work long after the crusade is ended. Prayer: Without prayer, we could not survive as Christians nor would we ever hold a crusade. Every aspect of the crusade directs you towards prayer - determined, heart-felt, ceaseless prayer. All crusades are inquirers are asked by counselors to state their church preference; this is recorded on the counseling card. According to the inquirers' stated preference, copies of the counseling cards are sent to participating churches for follow-up and nurture. In cases where inquirers have stated a non-participating church preference, the individuals are referred for follow-up and nurture with to a lay counselor especially trained by the Crusade Director. At the request of the inquirer, a ministers information copy is sent to the stated church preference. In case where inquires have not stated a church preference or have indicated a non christian assembly, the ministers' information copies of the counseling cards will be sent to the participating church closest to the individuals home. Copyright © 1996, Central Ontario Mission. All rights reserved.